According to the New York Post, Tony Award winner Mandy Patinkin (Evita, Sunday in the Park with George, The Wild Party, The Secret Garden, Falsettos) is looking to take on the role of Georges in the transfer of La Cage Aux Folles. Casting is still unofficial … but we can only hope Mandy will be returning to the Great White Way! KU men are SO hot! 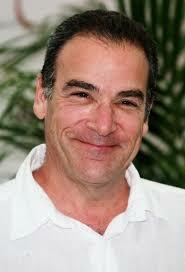 Way to go Patinkin!